Last month I took my life in my hands and went to Chicago in the middle of the polar vortex (sub-zero temperatures). I stayed with my aunt, who’s a big quilter, and she and her friend Becky took me around to some of their favorite quilt shops. I don’t yet have much experience with fabric shops, but the three we visited blew me away. Our first stop was Prairie Stitches, a cute little storefront on an old-timey-looking Main Street in Oswego. I was kind overwhelmed because they had so much fabric. My local quilt shop is fairly small, but it’s cute and friendly and they carry the types of fabric I like (crisp modern prints in bold colors). Prairie Stitches had rooms and rooms of fabric and I kind of wandered around in an overwhelmed daze. (Becky kept saying, “Why aren’t you picking anything up? Pick some fabric!”) They had the Downton Abbey fabric collection on display, which I really liked, and an entire room full of Civil War era reproduction fabric in those muted vintage blues, creams, browns, reds. 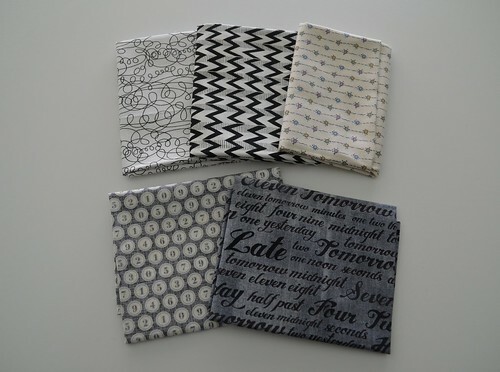 Eventually I picked a couple fat quarters from a “fabric with words” display (they had a vintage typewriter on the table, which is probably what sold me) and a couple black-and-white fat quarters. Quilter’s Paradise, a.k.a. Roberts Sewing Center (I have no idea why they have two websites), had an even bigger selection of fabric than Prairie Stitches. 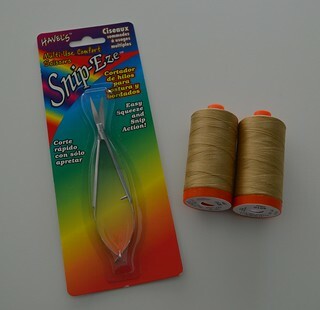 They also had a ton of different types of thread, and lots of rulers and notions. Becky talked me into the cutters below, which are spring loaded so that it takes less exertion to cut than with a classic pair of scissors. I’ve also been hearing a lot about Aurifil thread (since I started following Alex Veronelli on Google+), so I picked up a couple spools to quilt a lap quilt I’m working on. I got sucked into the black-and-white prints section, where I basically wanted to buy everything, but limited myself to three fat quarters. 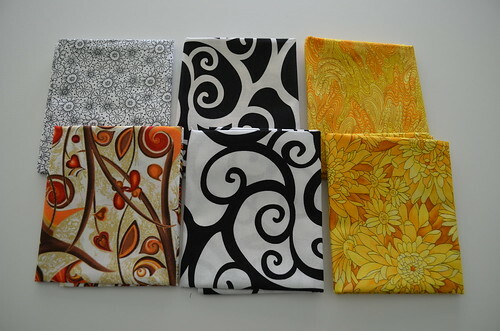 I’ve been dreaming about ideas for a black-and-white quilt ever since, maybe with some pops of red or yellow. So I basically doubled the size of my stash in one day. 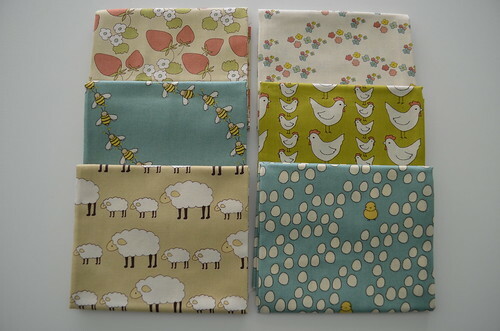 But it’s okay, because I love all my new fabric. This week I picked up a book of fat quarter quilt patterns, and I’m definitely on the lookout for more since I love buying quarters. 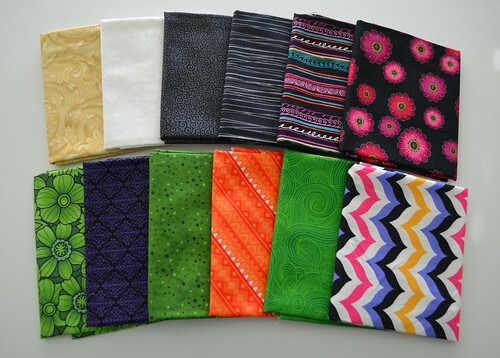 Do you have any favorite patterns that use fat quarters?